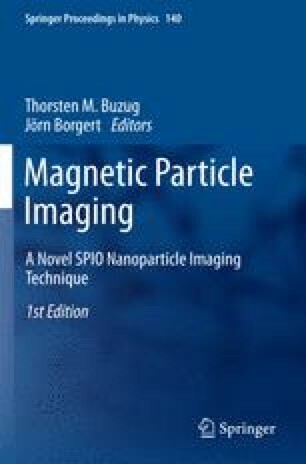 Magnetic particle imaging (MPI) is an emerging medical imaging modality capable of high-sensitivity images with unprecedented contrast and without ionizing radiation . Our laboratory previously developed the x-space theory for MPI, which describes MPI as a scanning process in the spatial domain [2,3]. X-space MPI is particularly critical as it permits real-time image reconstruction, orders of magnitude faster than the traditional harmonic space system matrix reconstruction methods. The x-space theory was derived assuming adiabatic and instantaneous alignment of ultra-small superparamagnetic iron oxide nanoparticles (USPIOs) with the applied magnetic field. However, in reality the magnetization lags behind the applied field due to relaxation. Here, we include relaxation in the x-space MPI theory and show that real-time reconstruction is still feasible even with relaxation effects.